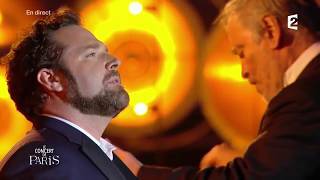 This spring, Bryan Hymel returns to the Opéra National de Paris to sing the role of Don José in Bizet’s Carmen, and follows up with his role debut in the Royal Opera House’s production of Verdi’s Don Carlo. The American tenor performs Carmen alongside Varduhi Abrahamyan and Anita Rachvelishvili alternating the title role, Roberto Tagliavini and Ildar Abdrazakov alternating the role of Escamillo, and Marina Costa-Jackson and Aleksandra Kurzak singing Micaëla. Bryan sings Don José under the baton of Lionel Bringuier and Mark Elder at the Opéra Bastille on April 2, 5, 8, 11, 14; June 13, 16, 19, 22, 25, 28; July 2, 4, 7, 10, and 13. Following his turn in Carmen at the Paris Opera, Bryan makes his role debut in Verdi’s Don Carlo at the Royal Opera House. Bryan stars alongside Krassimira Stoyanova as Elizabeth of Valois in Nicholas Hytner’s production, opening May 12, 2017. Don Carlo runs through May 29 and also features performances by Ludovic Tézier, Ekaterina Semenchuk, and Ildar Abdrazakov.